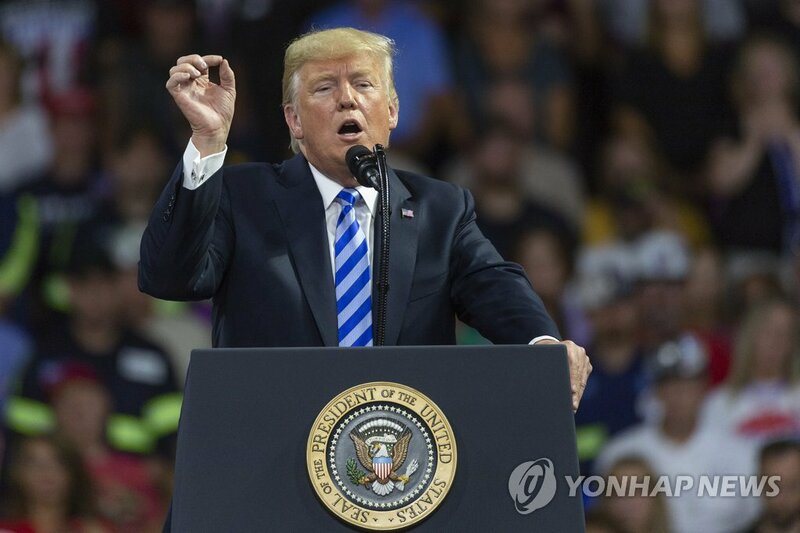 U.S. President Donald Trump has said that he wants to lift sanctions on North Korea quickly, but the regime should get rid of its nuclear weapons first. Trump made the remark during a rally in Charleston, West Virginia, late Tuesday, hours after the Treasury announced new sanctions targeting North Korea's illicit trade. Trump said that he has been getting along very well with North Korean leader Kim Jong-un for the last three months, but he has not lifted sanctions. He avoided any provocative comments about the North Korean leader, saying that he does not want to insult Kim and stressing their good chemistry. The remarks came amid Pyongyang's strong protest over Washington's recent sanctions and ahead of U.S. Secretary of State Mike Pompeo's expected fourth trip to North Korea.